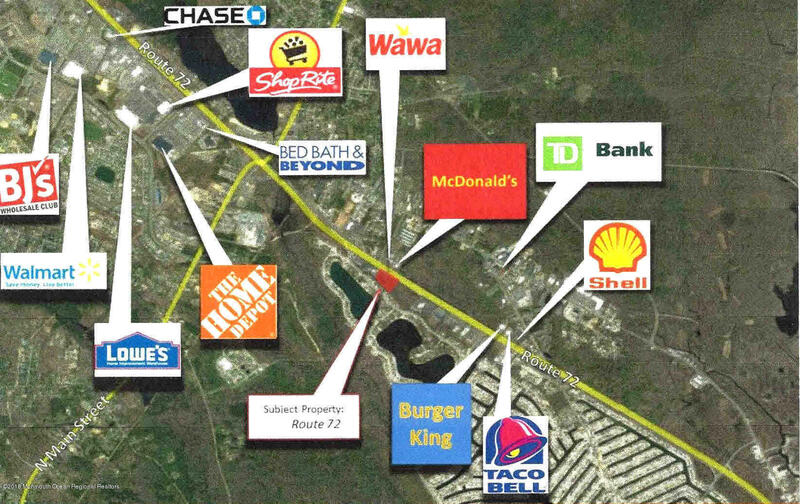 1.96 Acres of Land with 360 Ft. of Frontage Available on Highway 72 East, the Main Thoroughfare Between Long Beach Island (LBI) and the Garden State Parkway. 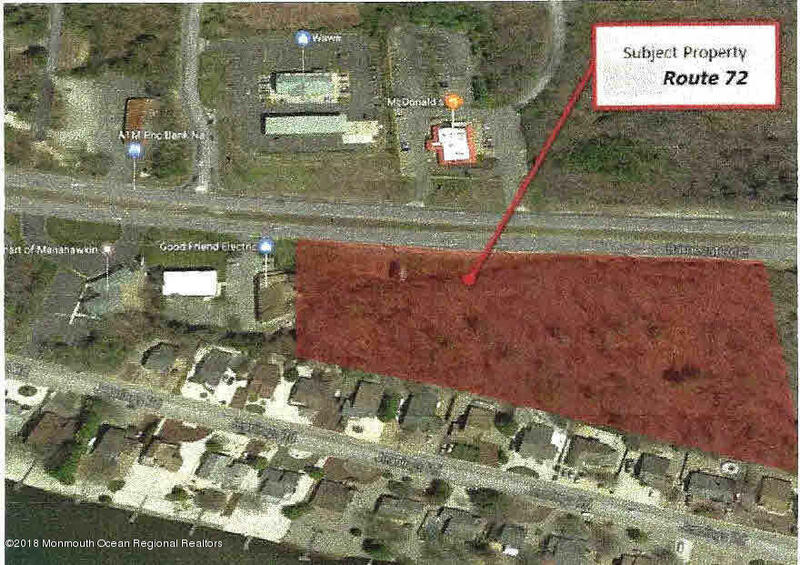 Last Remaining Developable Parcel of Land in Immediate Area. Ideal for Multi-Tenant Retail or Freestanding Retail Buildings. Easy Access to the Garden State Parkway.